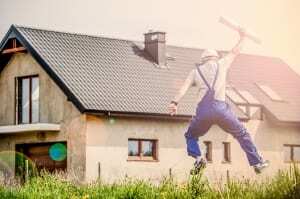 Q- How much money can I finance for renovations through the FHA 203K? A- There are two options available through the 203K program. Option one is the Limited 203K where there is no minimum and a maximum of $35,000 in renovations, repairs and FEES. I emphasize the term “fees” because this will ultimately take away from the total you can use for renovation costs. On average you will spend about $800 in fees for the Limited 203K version. Option two is the Standard 203K where there is a minimum of $5000, and the maximum is set by your local County. Some counties limits are over $600,000 in finance totals. A Mortgage that is to be insured by FHA cannot exceed the Nationwide Mortgage Limits, the nationwide area mortgage limit, or the maximum Loan-to-Value (LTV) ratio. Q- Do I need to hire a 203K Consultant in NH and Maine? A- HUD guidelines require that a Certified 203K Consultant must be used for all Standard 203K loans. A Consultant is not required if you are using a Limited 203K, however we recommend using a Consultant for every Renovation loan as well as taking advantage of a “Feasibility Analysis” first to see if the home in question is even going to fit in your budget. Don’t waste time and money getting all your ducks in a row on a property just to find out that you cant afford the renovations. Another reason you need or should want a 203K Consultant is that one of the Consultants duties is to submit a Specification of Repair, or some call it Scope of Renovations or (SOR), and Cost Estimate to your lender as part of the Work Write Up. These will be used ultimately for picking a contractor and figuring out the final cost of renovations. Since a Consultant is not performing the renovations and will not make any profits from the project, he/she will have the clearest view of what those renovation costs should be. They are being paid to do so and 203K Consultants are required to use specific cost estimation numbers based on industry standards in your area. Its no secret that some Contractors can be excessively expensive, and some can undercut themselves too much to get the job which can put the entire project at risk when the Contractor runs out of money. The SOR and Cost Estimate submitted by the 203K Consultant will help keep both extremes from happening. Q- Can I put an addition on a home in NH or Maine using the FHA 203K? A- Yes! So long as the property in question meets HUD’s MPR (Minimum Property Requirements), it fits within your budget, and all other health and safety issues are fixed first that may have been found during the Consultants initial inspection. Q- Can I repair or add a swimming pool using a 203K loan? A- Yes you can repair an existing in ground style pool. There is no limit to the renovation costs for this given that the costs are warranted. You can NOT repair an above ground style pool as it is not considered a permanent structure. You will NOT be able to install a new pool, above ground or in ground, as it is considered a luxury item and luxury items are not permitted in the 203K renovations. However a Fannie Mae”Homestyle” renovation loan will allow for this if you are interested in that. Q- Can I purchase and renovate a fire damaged house? A- Yes, so long as there is no fire damage done to the foundation of the home and the property to be purchased meets all other HUD guidelines then you can build an entire new home on top of the old foundation. You can even add to that foundation to update the footprint of the home to fit your needs. Sooooo many options so long as you have the budget for it! Top 3 Reasons Why You Need a Home Inspection When Buying a Home Home Inspectors: Friend or Foe?